It had been tested a few months ago, but now it looks like Disney's FASTPASS is going to officially start being enforced. According to the news that came out today, starting on March 7th, Disney will being enforcing the FASTPASS return window with a 5 minute buffer before hand and a 15 minute buffer after your FASTPASS time has expired. If you arrive anywhere outside that window, you will be denied access into the attraction. My first and biggest thought was this is going to has have a HUGE impact on the way people are to vacation now, including myself. Before, many (yes, myself included) would obtain a FASTPASS for an attraction that we wanted to visit at some point in the day and then ride that attraction (after our FASTPASS window became available) whenever we got around to that area of the park again. It made it so we could be flexible with our vacation. Now, however, I fear this spontaneity is going to be dead. Yes, of course, before I knew about the "loophole" that you could return at a later time, I did adhere to the FASTPASS return window. It wasn't the worst thing in the world, so I know it's something that I will be able to adhere to again. However, it was nice to know I didn't have to run halfway across the park because my FASTPASS window came up and I'd have to ride the attraction immediately. However, this does bring me to my next worry and that is that this is supposed to be setting it up for the NextGen project, the rumored "schedule your FASTPASS from home" idea, which is something I'm totally against. It's one thing to get a FASTPASS in the park, but it's a completely other ball of wax to schedule the time, 6 months ahead of time (or whatever the beginning window will be), of when you want to ride a specific attraction. I completely respect those who are uber planners, but I am not one, nor do I think the majority of people who are traveling to Disney would be. 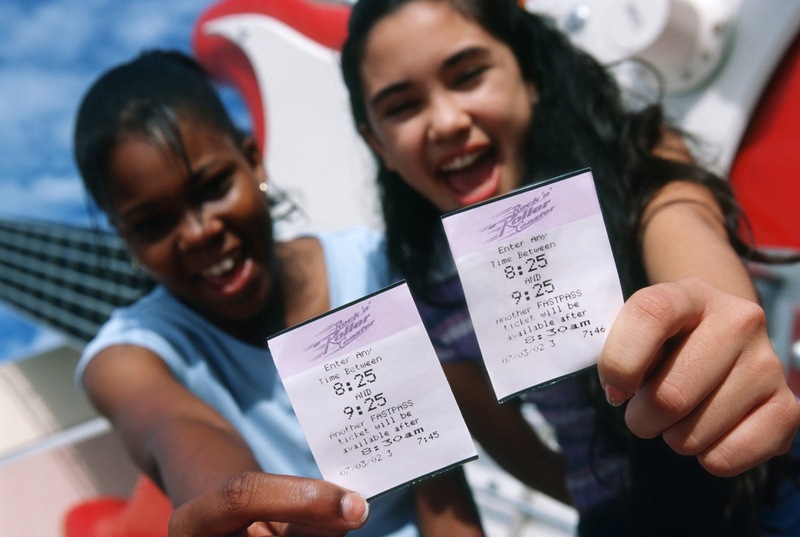 I mean, Disney already has people who don't know how to use FASTPASS the way it is now, I can't imagine what it will be like if and when they roll out this idea. The new ideas that have been proposed under the rumored NextGen Fastpass idea are not going to be something that appeals to a lot of people in my eyes. A few select few planners will love the idea and that will be it. Many Disney fans, are however, happy to see this change take place. I've seen a lot of talk about how this should have been done a long time ago. There are many that are hopeful about these changes, that they will make things easier for everyone...make it "fair" for everyone, including those who don't know about the loophole. No matter whether you are for or against this change, there is one fact. It will be interesting to watch how this all impacts touring strategies in the future. Will FASTPASS be available for more attractions now later in the day? (Especially for an attraction like Toy Story Midway Mania.) Will the window get moved back in the future because of demand? Will the impact the Standby line in any way? These questions and more will, I'm sure, all be learned as time goes by. So, that's my theory about the whole thing, but what's your take on this news? Are you for it or against it and why? Make sure to let me know in the comments section. These changes are far over due. What's the point in a scheduled time to visit an attraction, if it isn't enforced? It's time to stop the abuse of the FP system. My main issue with this is it will make me less likely to risk a mid day sit down meal while i have a fastpass cooking. I've eaten the same food at the same restaurant on different occasions and been in and out in 50 or 120 minutes. Also I can't tell you how many times I've sent the wife and kids off to our next planned event and waited for another 5-10 minutes just to wrap up the check. I doubt it but hopefully they will aleast give a larger window. We are against it!! We have AP's and go often and have also been delayed while eating and and would have missed our FP window. We always stay on Disney property and at times due to one thing or another,sick,tired and even one time a broken toe and had to go back to the room. We knew we could go back later and use our FP after being at the park first thing in the morning. I have never seen it add to any FP line. I think its about time. This change makes it fair for everybody especially for people that do not "abuse" the FP system either because they did not know there was a loophole or they were honest and followed the rules. I agree with it being overdue and finally being enforced. I have had conflicting schedules with my plans and fast pass but always honored my time frame. Whatever happened to the testing that they did at Animal Kingdom with the Fast Past Distribution for all rides that have fast pass in one central location? That makes most sense to me to do if they are going to enforce return times. It's hard, especially with kids in tow and meal reservations to park cross all the time (once to get the fast pass, then back over when the time becomes ready). You will be running back and forth all day.